The editorial staff provide commentary and analysis on topics related to international affairs and Atlanta. The views expressed in this Blog are those of the author(s) and do not necessarily reflect the views of the Atlanta Council on International Relations, the ACIR Board of Directors, or its members. The foreign policy of Russia in the near abroad is the continuation of its domestic policy, which includes the consolidation of the population around a leader by means of creating an image of an enemy, especially at times when the economic situation in the country is deteriorating. The key to understanding Russia’s foreign policy might be rooted in the imperial syndrome associated with the country’s history. At present, Russia’s desire to restore its status as a world power, as in the past, requires it to develop a foreign policy secured by control of its nearest neighbors. For centuries, it purchased their loyalty with natural resources. When this routine was disrupted, for example, with a drop in the market prices of raw materials, another practice developed where, in order to maintain its hegemony, Russia used aggression against its nearest neighbors. Today, this approach is sustained by endorsement from the general public that seems oblivious to conditions of unparalleled income inequality in Russia. For them there is nostalgia for the restoration of a super power status for the country. Russia is believed to have an intermediate position between liberal and traditional civilizations (Akhiezer, 1995, p. 4). This means that in its historic development the country stepped over the bounds of a traditional civilization characterized by static reproduction, i.e. the type of reproduction under which quantitative changes in society and culture are possible only at the expense of attracting additional resources. However, Russia did not manage to move beyond this “traditional” approach; it did not become a full-fledged part of Western liberal civilization, characterized by intensive reproduction fueled by liberal ideals and innovation. Russia’s position as an intermediary civilization forced the country to go through cycles of reforms and counter-reforms in the course of its history (Lapkin & Pantin, 2007; Bagdasaryan, 2010). The periods of reforms drew Russia nearer to the “liberal model,” i.e. to the Western European liberal social, economic and political culture, whereas the periods of counter-reforms incited in the population the ideas of Russia’s uniqueness and aspirations for the country’s messianic role in the world, less in common with evolving Western European liberalism. In general, the ruling stratum in many states had two major ways to establish its legitimacy. It could do it by successfully protecting its subjects from external threats, and by annexing new territories (Akhiezer et al, 2013, p. 44). For the Russian ruling elite, victories in wars also became an opportunity to legitimize itself. Thus the notion of establishing and supporting “imperial might” became central to the legitimacy of the ruling elite and identity of the nation. Wars could also help overshadow various internal problems, seemingly intractable and insolvable under peace, and distract the population from them (Akhiezer et al, 2013, p. 45). Before the end of 2011, when protests against the outcomes of the election to the State Duma ensued, the Russian authorities sought to ensure support of their constituents by improving their well-being. As a result of the protests, Putin’s rating went down, and the Duma began to hype up the anti-West propaganda creating an image of an external enemy, which became the main focus of the country’s domestic policy. According to the Levada Center, an independent, non-governmental, Russian polling and sociological research organization, by 2016, 72% of Russians considered the USA the most hostile to Russia country, 48% said it was Ukraine, and 29% believed it was Turkey. This helped politicians to distract the masses from recognizing that Russia had been unable to create a competitive economy. By involving the population in foreign policy endeavors, elites were trying to divert the people’s attention from the fact that the Russian economy was currently suffering from an ongoing crisis. In December 2014, Putin approved Foundations of the State Cultural Policy (FSCP) decree. The main conclusion one can draw from the document is that Russia has civilizational differences with the West, and in its further development it is going to follow a non-European path. In FSCP the cultural peculiarity of Russia is considered the guarantor of the Russian statehood stability and competitiveness. Official economic statistics, on the contrary, do not confirm the presence of such competitiveness. Modern Russia, suffers from what Larry Diamond (2008) called “the exceptional curse of oil” (p. 74), with over 80% of its federal budget being accounted for by the return on extraction and export of raw commodities (Movchan, 2017, p. 7). Russia’s rejection of a planned economy and the shift to the market were supposed to promote the development of knowledge intensive branches of industry. However, due to its inability to introduce quantitative changes into the economy by means of innovation, the country failed to achieve the goal. The absence of a competitive industrial sphere and the non-competitiveness of the Russian economy were not aided by government policies either, since those were counter-productive policies, such as the failed federal program National Technological Base adopted in 2006. Isolating itself from the world community, Russia is simultaneously trying to consolidate the periphery – the former Soviet republics – around the imperial core. It is doing it using its natural resources to purchase the loyalty of the periphery. If at times purchasing the loyalty of its nearest neighbors is not feasible, Russia resorts to such pressuring means as direct threats and military interventions. Russia has to employ either of the options because it simply does not possess soft power. The diverse relations between Russia and its nearest neighbors are examples of different degrees of success and failure of this “purchasing practice.” Russia, for example, was not able to hold the Baltic States in its sphere of influence. In the cases of Ukraine and Georgia, the practice of purchasing their loyalty proved to be not so easy-to-follow. That is why Russia had to resort to the military power to keep the former Soviet republics within its circle of influence. Though the jury is still out, the Union State of Belarus and Russia, forged in 1996, may be an example of efficiency of this practice, where the fair distribution of oil and gas serves as the purchasing agent of loyalty. Thus, in its domestic policy Russia puts a premium on the struggle for retaining traditional values, which is an unmistakable sign of the loss of the historical dynamics, i.e. change. But culture is not static. Russia’s foreign policy, on the other hand, is anchored in seeking control of its nearest neighbors. Having gone through the disintegration of the empire, the former imperial nation suffers from the wounded grandeur complex, which makes it an easy prey for politicians willing to draw the people in dangerous foreign policy enterprises. The idea of a super power has indeed proved to be much-in-demand for the masses.Therefore, one of the country’s prospects is the continuation of the self-isolation policy, coupled with hybrid wars. Although such efforts may help prolong the life of an imagined empire, in reality they do not contribute to Russia’s greatness. Rather they limit Russia’s potential for development by stifling the ingenuity of citizens’ entrepreneurial spirit. Another choice for Russia could be the transformation into a liberal civilization, which will most probably demand a change in its concept of identity, as well as the acceptance of universal values such as respect for human rights and dignity, and so on. Time will show whether Russia will choose innovation over tradition, or vice versa; and whether it will attempt to join the Western European liberal civilization yet again, or will continue to lead a wretched existence on the historic sidelines. With all the commotion 2016 U.S. election year provided, it was easy to get caught up in heavy news coverage of the U.S. Presidential campaigns. But as the news coverage about the U.S. Presidential election began to die down, 2,933 miles away, Costa Ricans began to get the first taste of news coverage for their 2018 presidential election. This election holds a great deal of importance due to the current president, Luís Solís, who currently possesses the worst disapproval rating in the hemisphere, with 90% of Costa Ricans expressing their discontentment with the current administration, as reported in a Tico Times article. Considering Costa Rica’s history of being one of the most stable democracies in Central America as well as its reputation for being a country populated by many American and Canadian expatriates, the incredible amount of discontentment citizens have with the current administration seems a bit unusual for a nation like Costa Rica. Nevertheless, their discontentment is justified. President Solís and his administration along with the current Legislative Assembly inherited the problems of the national fiscal deficit. According to an article on the Central American Data website, the Costa Rican fiscal deficit closed at 5.2% of the national GDP in 2016 and the Solís administration does not seem to be accomplishing much in terms of cutting the fiscal deficit. Solís’s reform concentrates on gaining revenue via higher income taxes versus gaining revenue through government spending cuts, but in order to decrease the fiscal deficit, the country will need to implement the spending cuts as well. However, the fiscal deficit is not the only issue that the Solís administration faces. Another criticism that challenges this administration is increase in crime. In 2016, 579 homicides were reported according to an InsightCrime article via the Costa Rican Judicial Investigation Body, breaking 2015’s record of 566 homicides. Along with the escalation in the number of homicides in Costa Rica, drugs are becoming an issue because of the lack of security on the Costa Rican borders. Between the rising of the fiscal deficit and crime rate, it is no mystery why the Solís administration is failing to capture the hearts of Costa Ricans. Fortunately for Costa Rican citizens, President Solís’s term is coming to a close, and soon, they will elect a new president for 2018. Currently, the candidates running are Carlos Alvarado Quesada of Partido Acción Ciudadana or PAC for short, Antonio Álvarez Desanti of the Partido Liberación Nacional (PLN), Edgardo Araya Sibaja of the Frente Amplio; and Rodolfo Piza Rocafort for Partido Unidad Socialcristiana (PUSC). Quesada attended both the University of Costa Rica and the University of Sussex where he obtained his master’s degree in Development Studies. He served as Executive Chairman of the Joint Social Welfare Institute & Minister of Human Development and Social Inclusion during the Solís administration and worked as Minister of Labor and Social Security after Víctor Mora resigned. While Quesada was head of the Human Development and Social Inclusion ministry, he helped to create and implement social programs like “Bridge to Development”, whose objective was to “would combine current welfare programs into a single system, and tailor aid to the needs of each family” as explained in a Tico Times Article. Desanti studied law at the University of Costa Rica as well as Harvard University, where he focused on International Tax Law. He was appointed Minister of Agriculture and Cattle Production in 1987 and then Minister of Interior and Police in 1988. As the head of MIP, Desanti founded CICAD (Centro de Inteligencia Conjunta Anti Drogas) within Costa Rica. Along with his work in drug prevention, Desanti promoted laws protecting those who face sexual harassment, which prior to 1997, did not exist in Costa Rica. He became President of the Legislative Assembly in 1995 and then again in 2016. Sibaja is a Greek born Costa Rican. He also attended the University of Costa Rica and since then he has worked as a lawyer. In 2002 he promoted the founding of Unión Norte por La Vida project, which has worked diligently “to defend the right to a healthy and ecologically balanced environment in Costa Rica” as stated on the Freshwater Action Network website. He was elected as Municipal Councilor in San Carlos and he is a deputy for the Committee on Legal Affairs. Rocafort graduated from the University of Costa Rica, earned a diploma from the Society for International Studies in Madrid, Spain, The Human Rights Institute of the Complutense University of Madrid, and the University of Salamanca. In 1990, he was named the Alternate Ambassador to represent Costa Rica in the U.N. From 1999 until 2000, Rocafort was designated as the executive president of the Department of Social Security. He served as a justice on the Supreme Court of Justice during 2009. Because Costa Rica is considered the most stable democracy in Central America, it’s important for the U.S. to stay informed and involved in Costa Rican affairs. Promotion of democracy is still a goal of the American government, as stated on the U.S. State Department website, and the upcoming Costa Rican presidential election could show the naysayers that democracy is still a viable option for a nation’s governmental structure. Despite the lack of success the Solís administration had, the country is still willing to work to to protect their stability. The editorial staff provide commentary and analysis on topics related to international affairs and Atlanta. The views expressed in this Blog are those of the author and do not necessarily reflect the views of the Atlanta Council on International Relations, the ACIR Board of Directors, or ACIR members. Aguilera, Rodrigo. “Costa Rica’s Ugly State of Affairs.” HuffPost. TheHuffingtonPost.com, 03 May 2016. Web. 10 July 2017. Anonymous . “UNOVIDA (Unión Norte por la Vida meaning the Northern Union for Life).” FAN. Freshwater Action Network, 10 Oct. 2011. Web. 11 July 2017. “ANTONIO ÁLVAREZ DESANTI.” Bio Antonio – Antonio Álvarez Desanti. Partido Liberación Nacional, n.d. Web. 11 July 2017. “Antonio Álvarez Desanti.” Wikipedia. Wikimedia Foundation, 09 July 2017. Web. 11 July 2017. Arias, L. “Costa Rican government launches new anti-poverty plan aimed at helping 54,600 families -.” The Tico Times | Costa Rica News | Travel | Real Estate. Tico Times, 26 Mar. 2015. Web. 11 July 2017. Arias, L. “Costa Rica President Solís’ approval rating at record low.” The Tico Times | Costa Rica News | Travel | Real Estate. Tico Times, 18 Aug. 2016. Web. 10 July 2017. “Biografía de Rodolfo Piza.” Rodolfo Piza Presidente . Partido Unidad Socialcristiana, 2013. Web. 13 July 2017. “Carlos Alvarado Quesada.” Wikipedia. Wikimedia Foundation, 10 July 2017. Web. 11 July 2017. “Costa Rica: Fiscal Deficit Closes 2016 at 5.2% of GDP.” Actualidad – CentralAmericaData. Central American Data , 20 Jan. 2017. Web. 11 July 2017. “Democracy.” U.S. Department of State. U.S. Department of State, n.d. Web. 12 July 2017. “Edgardo Araya Sibaja – Diputado por la provincia de Alajuela – Frente Amplio.” Diputado por la provincia de Alajuela – Frente Amplio. Frente Amplio , n.d. Web. 11 July 2017. Gagne, David. 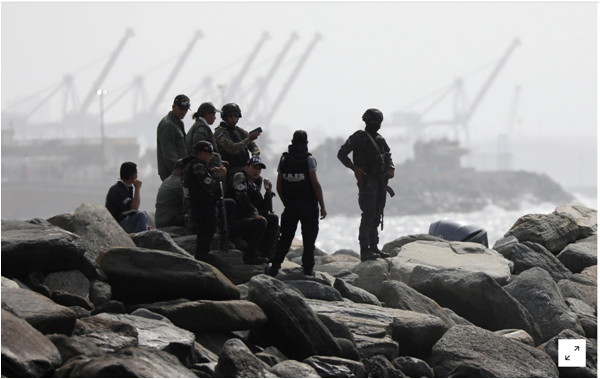 “InSight Crime’s 2016 Homicide Round-up.” InSight Crime | Organized Crime In The Americas. American University’s Center for Latin American and Latino Studies, 16 Jan. 2017. Web. 13 July 2017. Fendt , Lindsey. Colones, the Costa Rican currency. 2015. San José. The Tico Times News . Web. 9 Aug. 2017. “Rodolfo Piza.” Wikipedia. Wikimedia Foundation, 26 June 2017. Web. 13 July 2017. Gibraltar is a prosperous British Overseas Territory located on about 1,500 acres of land, mostly rock, on the Iberian Peninsula at the foot of Spain. With a population of about 32,000, plus some 10,000 “frontier workers” who commute in for jobs, Gibraltar is a financial center and tourist destination as well as the home of British Forces Gibraltar which provide the Territory’s defense. And then there are the 300-odd Barbary apes (macaques actually) that have become the symbol of British possession and a favorite tourist attraction. It is said that Britain will rule Gibraltar as long as the macaques occupy the Rock. Gibraltarians are British citizens who enjoy 300 days of sunshine a year, a prize indeed, and they are also EU citizens on modified, favorable terms. Gibraltar is fiercely independent, valued by the UK, coveted by Spain, and a solid EU contributor. Thus, Brexit has profound implications to Gibraltar, Britain, and Spain with significant splash-over issues to the EU and even the United Nations. Britain has maintained possession of Gibraltar since it was won from Spain in the War of Spanish Succession and formally ceded to Britain “in perpetuity” under the Treaty of Utrecht in 1713. Spain claims sovereignty over the Rock and has tried twice to re-take it by force (1727 and 1779-1783). But aside from the periodic border tantrums, hassles at the international airport (which was built by Britain in WWII on Spanish-claimed land), and nuisance fishing disputes, Gibraltar exists peacefully today as a self-governing UK possession, which benefits Britain, Spain and the EU. Gibraltar enjoys the benefits and limitations of Britain’s EU membership by virtue of having joined the EU with Britain in 1973. Because its prosperity depends on access to the EU’s approximately 500 million citizens, it voted, not surprisingly, against Brexit. The vote, which was tallied as part of the south- west England regional count, was 96% to 4% (with over 83% voter turnout) to Remain in the EU. Economic participation is where Gibraltar identifies most closely with the EU and may begin to diverge from the UK’s interests relative to the EU. Sovereignty, however, is where Gibraltar most closely aligns itself with Britain. Gibraltarians greatly value their constitutional, self-governing status with Britain, which has sponsored two “sovereignty” referendums in the Territory. The most recent referendum in 2002 was based on a proposed joint UK-Spain sovereignty scheme. Gibraltarians voted 99% to 1% (with 88% voter turnout) against the joint sovereignty scheme and, thus, to retain their British constitutional, self-governing relationship. So against the somewhat schizophrenic backdrop of over 300 years of disputed British possession, a prosperous tripartite EU membership, and an economy beneficial to all parties…enter Brexit. While the UK has been contorting itself over exactly what Brexit means and how to approach the negotiations, the EU has mobilized the 27 remaining countries and published, in April 2017, their 26-point draft negotiating guidelines. The guidelines include generally conciliatory comments about Ireland and Cypress, but about Gibraltar, Guideline 22 says: “After the United Kingdom leaves the Union, no agreement between the EU and the United Kingdom may apply to the territory of Gibraltar without the agreement between the Kingdom of Spain and the United Kingdom.”⁴ Note that there is no mention by the EU of Gibraltar participating in the negotiations even though it is an EU member, albeit as an entrant with Britain. The wording of the EU Guidelines set-off a firestorm of undiplomatic rhetoric from both sides, with Britain’s former conservative leader, Michael Howard, uttering fighting words comparing the British position to that of the Falklands Islands and Argentina.⁵ Howard’s war mongering occurred after the Spanish Foreign Minister, Jose Manuel Garcia Margallo, said “the Spanish flag will fly over Gibraltar sooner than (Chief Gibraltar Minister) Fabian Picardo thinks.”⁶ Howard is not a player in the UK Brexit negotiations and Spain appointed a new, more diplomatic Foreign Minister, Alphonso Dastis, before the rhetoric descended into a Trumpian tweetstorm. But the animosity and bellicose background noise still exists. It’s not just noise coming out of the UK-Spain dust-up over Gibraltar. This image from Bennymarty/Depositphotos appeared in the Spanish publication news@thelocal.es on 4 April 2017. It shows an ape on a rock, Spain in the background, and the Union Jack upside down. So where does this leave Gibraltar, the unfortunate divorce child, as referred to by several commenters? Thus far, neither the UK nor EU has made any progress in substantive negotiations for Brexit, so any outcome is possible. Most of the lead-up to negotiations at this point may have been posturing, although both sides say not, and the rhetoric is beginning to moderate enough for a few rational thoughts to emerge. All sides seem to recognize the economic implications of the Rock and the need for a smooth transition that avoids a “hard Brexit” (Britain leaving the EU without a formal agreement). Exactly what all this means is still quite unclear, but sometime over the next two years real Brexit issues will have to be addressed, and the Gibraltar question, while seemingly a small nuisance in the grand scheme of Brexit, has implications in many areas and for many member and non-member states beyond the Rock. In the meantime, the Gibraltar economy is hedging its bets, possibly to the economic detriment of Spain but with worrisome implications to Britain. Some of the internet gambling businesses have sought licenses in Malta, an EU country with liberal policies under which they think they could continue to access the EU market and prosper. Gibraltar insurance companies, which insure approximately 17% of UK cars (twice the market share of Lloyd’s of London⁷) as well as such risks as employer liabilities in the UK and the EU, are being advised to investigate licensing in the UK, Luxemburg, Malta and/or Dublin to assure access to both the UK and EU markets.⁸ The implications of Brexit on access to the EU market are profound to Gibraltar and Spain, significant to Britain, but aside from principle, mostly nuisance to the EU. Unfortunately, the EU appears to have ceded the Gibraltar issue to Spain in Guideline 22, and a Whitehall-Madrid sideshow could become a major thorn in the EU’s side. The Brexit game is still in the early innings, or overs if you are in to cricket. If you listen from the British point of view, you might think Don Quixote is tilting southwest with his merry band of jousters. If you listen from the Spanish point of view, you might think Admiral Nelson is rising from his keg of rum to re-assemble the fleet. There seems to be no predictable outcome at the moment. The most rational view right now could well be held by the macaques, which still seem comfortably at home on the Rock. ¹ Special Committee on the Situation with regard to the Implementation of the Declaration on the Granting of Independence to Colonial Countries and Peoples. Gibraltar Working paper prepared by the Secretariat, United Nations General Assembly, 7 March 2017. Page 7/16. ² All economic statistics are taken from House of Commons Library Briefing Paper Number 7063, Brexit and Gibraltar, 2 May 2017. ⁵ Fiona Govan, thelocal.com, 4 April 2017. ⁶ The Sun, 3 April 2017. ⁷ Chris Johnson, Rock steady: the story of Gibraltar’s booming insurance sector, NewStatesman, 25 November 2014. ⁸ Nigel Freeman, What could Brexit mean for Gibraltar Insurers, Hassans briefing note, 2016. This is third article in this series discussing the phenomenon of terrorism in Russia today. Despite several strong factors that, according to theory, should result in an outbreak of terrorist activity throughout Russia, such an outbreak has not occurred. Attacks have been sporadic and often non-lethal, and, according to Russian media, security services have been highly successful in preventing militants from engaging in any act other than planning. The Russian government has taken many steps to prevent a rise in radicalism. The modern Russian information space has strict content controls, which limits access to radical information. The government maintains a monopoly on decision-making power regarding Islam and how it is taught and promoted in the country, which has resulted in few charismatic leaders in Russia. In addition, external pressure is not great in Russia as Kazakhstan and the South Caucasus act as buffers to radicalism spreading north from Central Asia and the current economic situation hindering Russian participation in the Hajj pilgrimage. The Russian online information space is both tightly controlled yet immensely vast. Information regarding “non-traditional” religious affiliation or ideology can lead to swift arrests if discovered on Russian social media and websites can be removed from RuNet (Russian internet) access with the tick of a box on a computer in Moscow. However, internet-savvy individuals can still find what they are looking for, more often than not, though access to such information may be allowed only as part of an FSB surveillance net. As Internet anonymizers are now illegal, many potential radicals are scared to access too much information in fear that they will become marked by security services and eventually arrests. To further decrease radical influences, Russia maintains what it calls “traditional religion”, an official version of religious teachings with approved scholars and clerics who may deviate at the cost of prison or expulsion. This practice has, over the past ten years, removed the possibility for imams to preach and spread radical ideas, resulting in a lack of powerful, charismatic religious leaders. Several such leaders were present in the two Chechen wars, and other such leaders have appeared in Kazan or other large Muslim cities outside of the North Caucasus. These leaders were either jailed or, in case they were becoming too powerful, promoted, which forced them to move to Moscow and work within the government apparatus under direct supervision. Even in Syria today, with estimates of some 4,000 Russian jihadists operating as part of the Islamic State, there are no strong, charismatic Russian leaders who are attempting to spread their message and recruit new members to their movements. This lack of leadership has developed into an environment where young men sporadically attempt to stage attacks. However, the lack of leadership results in a lack of experience and organization – the attempts are sloppy, poorly designed, and without effective operational security. Russia, despite a geographical position which places it in relatively close proximity to the Middle East and Afghanistan, is relatively secure in its position due to “buffer states”, countries which serve as a buffer zone to protect against any variety of threats. The strongmen leaders of Kazakhstan and Azerbaijan have, thus far at least, been highly effective at preventing the spread of Islamic radicalism in their countries. For countries to be used as transit points for jihadists, it is generally believed that radicals must first gain a foothold and then use that foothold to facilitate supply and recruitment operations. However, without the foothold, detection by security services is simple and the need for operational security too high for effectiveness. Thus, Russia’s buffer zones act as a major logistical barrier to jihadists who wish to enter Russia or move supplies to the country. Finally, Russian Muslims are less exposed to the ideas of many other types of Islam as they have recently been unable to attend the Hajj pilgrimage to Mecca due to cost and people from Muslim majority countries are generally scrutinized more heavily before receiving a Russian visa. The current economic situation in Russia has severely hampered Russians’ abilities to travel across the board, not just to the Hajj, and the Russian government is believed to actively suppress Hajj participation by throwing out applications and engaging in other acts of bureaucratic sabotage, resulting in the country not meeting its Hajj quota for the past several years. Moscow can never fully stop ideological composure, but that fact has not stopped the Kremlin from trying. There are two important caveats to this article. The first is that, while Islamist terrorism was the focus here, as it is the most visible and “popular” form of terror activity today, the majority of factors in both this article and the previous may apply to virtually any form of political grievance. In fact, many far-east scholars have claimed that “terrorism” may take the form of indigenous militia of Russia’s far-east regions fighting for independence against the government. This author believes that such claims are highly unlikely, though, if the most impoverished areas continue their economic decline, the Russian security landscape is likely to change dramatically in the next 5-10 years. Furthermore, this series of articles has purposefully neglected the North Caucasus and perhaps the most important terror challenge facing Russia today – the return of North Caucasus militants from Syria. In 2013-2014, the Kremlin actively encouraged militants to travel to Syria, so as to physically remove them from Russian territory and provide a safe environment for the nearby Olympics. Unfortunately, this policy had one major flaw – what happens when the war in Syria dies down and the militants want to return home? My next article will seek to answer this question and many more. Blake Holley holds a Masters in Governance and Global Affairs from the Moscow State Institute of International Relations (MGIMO) and currently works as an intelligence analyst and specialist on Eurasian security issues based in Atlanta, Georgia. His primary focus is on North Caucasus terrorism and strategic forecasting. This is the second article of three discussing the phenomenon, or lack thereof, of terrorism in Russia. The first article provided a summary of the state of terrorism in Russia outside of the North Caucasus region. This article will look at factors, which would generally appear to drive terrorism, and the third article will look at factors, which would limit terrorist activity in the country. In consideration of a vast majority of theoretical approaches to terrorism, Russia should be a vast breeding ground for terrorist activity. The economy has been in a downward spiral for over two years, virtually all religious institutions have been taken over by the state and subsumed to the Russian Orthodox Church, oppression has grown by leaps and bounds, and Russia has been indiscriminately bombing Sunni Muslim civilians in an attempt to support a Shiite Muslim regime in Syria. The Russian economy has more or less stabilized over the past several months, but outside of the country’s major cities, the situation remains dire as consumer demand remains low, inflation has placed many products out of reach of many citizens, product quality has declined, and people are forced to work less, thereby earning less money. Despite improving macro level indicators, micro level indicators show that the Russian population at large has faced increasing poverty in a stagnating economic environment. Whereas the government can point to some indicators and say that the economy is improving, local news quotes individuals on a near daily basis who are in dire situations. Many of these people, at least according to census data, are migrants and immigrants from Central Asia who are highly susceptible to radicalization. These people came to Russia for work, but the work has largely dried up to the point where the workers are simply not making the amount of money necessary to support themselves and their families who remain in their home countries. Therefore, these individuals, many of whom are Muslim, often seek refuge at local mosques and slowly walk down the path to radicalization. The past several years have seen numerous reports of a growing radicalization problem, both among Muslims and Russian Orthodox activists, as well as attendant social problems stemming from this radicalization. Moreover, the Russian Orthodox Church itself has taken a larger role in Russian life, playing a primary role in crafting social policy for the federal government, often at the expense of other religious bodies in Russia. This increased role has caused resentment in some corners, namely among Muslims, and led to increased calls for more of an official Muslim presence in social policy discussions. Socially, this has had the effect of making many Russian Muslims, who occupy vast areas of central, southern, and eastern Russia, and could be said to be Russia’s largest practicing religion, feel left out of Moscow’s social policy discussions and decision making processes. Feelings of being left out often breed resentment among social groups. In supporting the Orthodox Church at the expense of other institutions, Orthodox activists have, with increasing frequency, targeted those who belong to other groups and considered “non-Russian”. These non-Russians may indeed be Russian citizens, but, as they do not speak Russian natively, a right enshrined in the Russian Constitution, the activists have staged attacks against them, pushing resentment among these groups, which often goes unnoticed by official law enforcement bodies. These law enforcement bodies have also engaged in the oppression of citizens and noncitizens alike, often arbitrarily searching and questioning those who appear to hail from other countries, especially those from Central Asia. Whereas many Russians support the “arbitrary” targeting of random searches of Central Asians, the migrants and immigrants have vocally expressed their displeasure with such profiling as they feel that they are not given the proper opportunities to assimilate into Russian society and carry on with their private lives without unprompted harassment. This oppression also creates anger among Muslims around Russia when they hear about how Russian law enforcement and interior ministry units harass citizens of the North Caucasus. As Muslims tend to consider themselves citizens of the same global Muslim society, there is often a feeling of anger when one group of Muslims faces discrimination, a feeling exploited with great success by jihadist organizations. In addition, this feeling of anger should also manifest itself in response to Russia’s actions in Syria, in which the Russian Air Force has indiscriminately bombed Sunni Muslims in support of the Shiite Assad regime. The vast majority of Russia’s Muslims are Sunni, which should result in vehemently angry reactions among Russia’s Muslim population. However, there has thus far not been such an angry reaction. Even in the face of arbitrary repression, social suppression, and economic turmoil, Russia’s Muslims, both citizens and noncitizens alike, do not appear to have mobilized like their counterparts in other countries. The next article in this series will seek to understand why there is no mass uprising of Russian Muslims against Moscow. “The winner becomes king, the loser becomes outlaw” (”成者為王，敗者為寇“). On the surface the TPP is just a trade deal, albeit a grand one, that has been hailed as the most significant step toward trade liberalization since the WTO Uruguay round in 1994. However, the TPP is about political and economic dominance in Asia as much as it is about trade liberalization. According to those involved, there were many sticking points in arriving at consensus with the TPP, however the formation of the PRC-led Asian Infrastructure Investment Bank (AIIB) (and Beijing’s move to mold investments in Asia to their favor) seemed to be the impetus to form a consensus to counter Beijing’s growing dominance in Asia. The U.S. along with 11 countries around the Pacific parties (United States, Australian, Brunei Darussalam, Chile, Malaysia, New Zealand, Peru, Singapore, Vietnam, Canada, Mexico, and Japan), the TPP would have historically been the largest regional trade deal ever considered, covering nearly 40% of global GDP and over 30% of world trade. Contrariwise, the Beijing-backed Regional Comprehensive Economic Partnership (RCEP) is smaller economically. It covers 16 nations (10 ASEAN member states plus Australia, People’s Republic of China (PRC), India, Japan, South Korea, and New Zealand), and would account for roughly 30% of global GDP and more than a 25% of world trade. The TPP and RCEP should be viewed in the context of two competing world-views that are, at their heart, antagonistic with each other. First, the United States is not willing to give up its Pacific hegemony due to its myriad interests and number of close allies in the region. Additionally, the United States has accused the PRC of currency manipulation in keeping the Yuan artificially low, subsidising industrial resource inputs to undercut US industries, and exemptions from taxes that provide an unfair advantage to Chinese exporter, et cetera. These accusations, of course, are a violation of World Trade Organization (WTO) rules on unfair trade practices. Forecasts for the impact of TPP look at a variety of economic assumptions, with one study from the Peterson Institute for International Economics that suggests that the ratification of the TPP would have $77.5 billion increase in US income gains alone by 2025 with the other TPP partners earning $259 billion. Additionally, the PRC and Hong Kong would be excluded from $47.5 billion in income over the same period. The underpinnings of the TPP is an effort to liberalize trade and to forestall a cession of Asian-Pacific primacy to the PRC. The underpinnings of PRC policy, however, are motivated by the ancient cultural idea of tianxia (天下), literally “under heaven,” which in classical Chinese political thought the Emperor was styled at the “Son of Heaven” (天子), having received the “Mandate of Heaven” (天命), and would therefore be the ruler of the entire world. Two places within modern Chinese politics where the idea of tianxiamanifests itself is within the slogan/ideology of the “China Dream” and the “One Belt, One Road” (OBOR) (一带一路) or “New Silk Road” strategy. With regard to Xi Jinping’s “China Dream” (中国梦) as part of a larger discussion on Chinese identity, thinking, and values, analysts see three future scenarios for the “China Dream”: a slogan that will lose relevance over time; an idea that develops on par with that of the “American Dream”; or the beginning of a “reconstruction of a distinctive Chinese ideology with wide-ranging ramifications for national identity.” The adoption of a slogan that undergirds a new Chairman’s administration is nothing novel (e.g. Hu Jintao’s “Harmonious Society” [和谐社会]); however, what is novel about the “China Dream” is how it has been linked to a previous administration’s ideology and Confucian thought. One can also see the “China Dream” as an appeal to patriotic elites and another ultimate failure (as was, Hu Jintao’s hexie) due to the fact that growing sentiments of individualism with remain subservient to government control. Coupling the idea of a “China Dream” with that of the persistent imperial ideology of a tianxiaworldview, China sees its rightful place as a leader in the world and the hegemonic power in East Asia. The “China Dream” can be considered as part of a growing Sino-centric statist ideology that is attempting to rejuvenate the past glories of Imperial China, especially with regard to the OBOR project. The Silk Road Economic Belt and the 21st-century Maritime Silk Road (丝绸之路经济带和21世纪海上丝绸之路), or OBOR, is seen by many analyst as a responseto a growing perception of dependence and vulnerability of the PRC’s domestic economic development to externalities in its region. OBOR is presented as a comprehensive and centralized development strategy rather than one that is explicitly Sino-centric. Understanding the primacy of domestic politics within the PRC, with foreign affairs coming to the fore in support of domestic policy, this makes sense. Nevertheless, when looking at OBOR within the framework of a growing tianxia ideology, an “inward looking, domestic focused” PRC looking at the exploitation of the global economy to stimulate the Chinese economy and to ensure the stability of the PRC political-economic system makes perfect sense. The TPP and RCEP tell the tale of two wholly divergent views for the future of geo-politics. The TPP seeks to rebalance the Pacific economy, however effectively is unknown, in favor of the United States and Western-friendly states. In effect, the TPP seeks to maintain the status quo. RCEP seeks to reorder the Pacific balance of power more in the PRC’s favor; that is not to say that the PRC necessarily would like be a “superpower,” but it is actively seeking to act as a hegemon in the Asian-Pacific theatre and acting as a bulwark against what it sees as pernicious meddling by the West (if one is so inclined, there are libraries full of books and articles on the effect that humiliation had on the psyche of post-Qing dynasty/post-Tongzhi Restoration China). Whichever trade policy wins out could potentially set the economic agenda of the world for a decade or more. What the new administration should be asking itself is if it wants to resist the PRC influence in the global economy and in Asia-Pacific; or, alternately, would it like the US to be subsumed and finally integrated with a PRC led global economy. I am not saying the TPP is perfect by any means, but if the President-elect wants to kill the TPP, perhaps he should talk with the signatory states and come up with a way to make the treaty more palatable for the American people. Mexico and Georgia are closer than many realize and have a long-established relationship. It is clear that both communities are not united by a physical/political border, but they are part of the same geographic space in North America. Obviously, their ties have been shaped by bilateral relations between Mexico and the United States, but they have built an extensive, dynamic and deep-rooted network of interactions by their own. This is a remarkable feature: the Mexico-Georgia relationship is best described not by geography or other inexorable events, but by human interactions of mutual interest over the years, whether political, economic, social, academic and cultural. More than fifty years ago, Mexico identified the importance of cultivating its connections with the Great State of Georgia. The presence of a Mexican representative in Georgia dates back to 1963, when the first Mexican honorary consul to Atlanta was appointed. With the growth of the population of Mexican origin and the expansion of opportunities and exchanges over the years, Mexico strengthened its presence in Atlanta with the creation of a career consular office in 1977 and upgrading it to Consulate General category by the end of 1992. Since then, eleven Mexican Consuls-General have served in Atlanta to encourage a constructive dialogue and a spirit of friendship and cooperation. Georgia has also recognized the importance of promoting and strengthening its relationship with Mexico, and has had an international trade representative in Mexico since 1993 to promote the state’s broader economic interests and business partnerships. Trade and economic integration have been one of the main drivers of the Mexico- Georgia relationship, especially since the entry into force of the North American Free Trade Agreement (NAFTA) in January 1994. With a mutual interest in boosting growth, creating jobs, raising living standards and providing affordable and high-quality products to their citizens, Mexico and Georgia have turned into key economic partners in the last 23 years. Today, Mexico-Georgia trade is at historic highs in all aspects. Mexico is Georgia’s fourth largest trading partner, with $9.7 billion dollars in total trade in 2015 (7.5% in 2014-2015), Mexico is Georgia’s fourth largest supplier of goods, with $6.2 billion (3.2 % in 2014-15), and Mexico is the second export destination from Georgia, with $3.4 billion (16.4% in 2014-15), as per most recent foreign trade statistics by the U.S. Census Bureau. It is estimated that 152.5 thousand jobs in Georgia rely on trade with Mexico, according to the Mexican Ministry of Economy’s NAFTA Office. Mexico-Georgia economic exchanges are not limited to goods and services; they include millions of dollars in foreign direct investment. More than forty U.S. companies based in Georgia have found a thriving market in Mexico, including AGCO, The Coca-Cola Company, The Home Depot, Delta Air Lines, Newell Rubbermaid and UPS. These companies are just the tip of the iceberg. They are well known because they are part of America’s largest private companies and make headlines in newspapers and magazines. But Mexico is also an attractive market for medium and small companies well positioned to capitalized in foreign markets, such as Suniva, Inc., a Norcross based manufacturer of high-efficiency solar cells and modules that has participated in two solar module installation projects in Queretaro in 2013 and 2014 (Delta TechOps of Delta Air Lines and Aeroméxico), and has several ongoing projects in Guanajuato. Likewise, some Mexican companies with operations in Georgia are Alfa/Sigma Alimentos, Aeroméxico, America Movil/Grupo Carso, Cemex, Gruma, Bimbo, Elektra, Grupo Lala, Industrias CH, International Ceramics, Vitro, Wise Foods/Arca Continental and Xignux. These companies are pouring millions of dollars into Georgia (an estimate of $19.3 million, as per the Georgia Department of Economic Development and the Metro Atlanta Chamber), creating thousands of jobs (over 2,500 jobs statewide) and promote production and economic synergies in Georgia. Without a doubt, Hartsfield-Jackson Atlanta International Airport has been instrumental in promoting the flow of goods and facilitating people-to-people contacts between Georgia and business centers in Mexico City, Guadalajara, Monterrey and El Bajío, as well as touristic destinations such as Cancun, Los Cabos and Puerto Vallarta. Migration has also played an important role promoting interactions between Mexico and Georgia in the last decades. After the 1996 Summer Olympic Games in Atlanta and their estimated $5 billion dollars economic impact to the metropolitan economy, this pull factor motivated thousands of Mexicans to leave their origin communities in search for better opportunities in the city and the entire Peach State. Georgia is the 26th U.S. state with the largest Mexican-origin community, with more than 519 thousand Mexicans and Mexican-Americans. These people comprise the largest Hispanic group in Georgia —around 62%—. So, it’s safe to assume that Mexicans and Mexican-Americans have a significant share in the $17.6 billion Hispanic purchasing power in Georgia, the state’s 32,574 Hispanic-owned businesses, and the $1.9 billion in federal taxes and $1 billion in state/local taxes paid by Hispanics, according to figures produced by the American Immigration Council. But more than census and economic statistics, Mexicans and Mexican-Americans are talented and hard working people with multicultural capacity who are contributing every day to the well-being and growth of Georgia. Juan R. Perez, UPS Chief Information Officer (Atlanta), and Verónica Moreno, Leo Ángeles and Alberto Bazán, respective owners of Olé Mexican Foods, Inc. (Norcross), Olympica Produce Co. (Forest Park) and Murzan, Inc. (Norcross), are remarkable examples of the success of this community. Their origin is not different from the one of 33.7 million people in the U.S.: all of them can trace Mexican blood in their veins either because they chose the U.S. to be their home or they were born here from Mexican immigrants. Mexicans and Mexican-Americans comprise a substantial and strong part of the fabric of Georgia’s society. They are executive directors of not-for-profit organizations, presidents of chambers of commerce, members of the armed forces, police officers, professionals in the service sector, teachers, researchers, professors, students, “dreamers”… Gainesville’s poultry farms are well aware of the relevance of Mexican and Mexican-American workers for the competitiveness of this industry, as well as cotton farms in South Georgia; peanut, corn and soybean farmers across middle and South Georgia, and pecan farmers in Southwest Georgia. The determination of this community is exemplary and encouraging in every way. On Monday, January 9th, 2017, Ms. Brenda Lopez will start her term as the first Mexican-origin person and the first Hispanic woman to serve in the Georgia General Assembly. Mexico and Georgia are also working together and helping each other to reach new heights. There are numerous cooperation projects and programs involving prestigious Mexican and Georgian agencies and institutions. Mexico’s National Public Health Institute and Emory University’s Rollins School of Public Health have over two decades of experience working together to strengthen public health competences. Mexico’s Health Secretary, the Carter Center and the Centers for Disease Control and Prevention’s also work with partners in Mexico and the U.S. to improve public health in both countries. Participation of Mexican teachers in the Mexico-U.S. Teacher Exchange Program has been instrumental to meet the educational needs of the Mexican-origin community in the Gainesville City School District. Amongst other encouraging initiatives, it is worthwhile to point out the enthusiastic enrollment of dozens of Mexican students in summer and fall intensive English courses in Savannah State University, Columbus State University, Mercer University and the Georgia Institute of Technology in the last three years within a bilateral academic exchange program to create North America’s 21st century workforce. These are some of the stories that bind Mexico and Georgia together. For Mexico, the well-being of 519 thousand Mexicans and Mexican-Americans, thousands of people-to-people yearly contacts, numerous cooperation and academic projects in progress and $6.2 billion in exports are sufficient reasons to continue cultivating friendship and a constructive relationship with Georgia. The Great Peach State has also good reasons to continue engaging and advocating for an open and dynamic relationship with Mexico: at least $3.4 billion in “made in Georgia” and “Georgia grown” products and 152.5 thousand Georgian jobs. The very own nature of this bilateral relationship is the most hopeful fact for the future: Mexico-Georgia is not described by geography or inexorable realities, but by human connections of mutual interest. It is in the hands of Mexicans and Georgians alike to take care of this positive relationship and keep it moving forward. * With collaboration from Víctor Peláez, Mexican Consul for Political and Economic Affairs. Ruminating on President-elect Donald Trump’s policy outline for his administration’s first 100 days in office, what struck me was his promise of a definitive withdrawal from the Trans-Pacific Partnership (TPP) as one of his first acts. The TPP has been a source of contention for the past couple of years, although it has been in development for over 10 years. Much of the criticism was initially due to the treaty being withheld from public scrutiny by the constituent parties (United States, Australian, Brunei Darussalam, Chile, Malaysia, New Zealand, Peru, Singapore, Vietnam, Canada, Mexico, and Japan). However, after the release of several chapters and other assorted documents linked to the TPP by WikiLeaks, the cry against the TPP grew louder, in part because of questions these documents raised about privacy, intellectual property, and environmental concerns. First, one must understand the genesis of the TPP. According to University of Arkansas Professor Ka Zeng, “Noticeably, both Washington and Beijing seem to be more frequently using the WTO’s dispute management mechanism (DSM) to target issues of critical concern to their respective domestic constituencies. While the U.S.’ WTO trade disputes against China tend to target Chinese industrial policy, and challenge the dominance of state-owned enterprises (SOEs), cases involving antidumping duties (ADs) and countervailing duties (CVDs) have taken up a disproportionate share of China’s WTO disputes against the United States. Both the PRC and the US have been using the WTO’s DSM as a methodology for settling matters of economic concern, with the PRC as the predominate target of anti-dumping (AD), countervailing duties (CVD), and safeguard measures. The PRC has, in turn, attempted to use the DSM as a way to address what it perceives as unfair use of the DSM instrument against it and in particular to challenge its designation as a non-market economy (NME) which the PRC sees as the impetus for many of these complaints (mainly, due to many challenges against the PRC being upheld). Out of this environment the TPP began its nascent development as a little-known agreement between the New Zealand, Chile, Singapore, and Brunei Darussalam (known as the Pacific Four or P-4). US involvement in the P-4 agreement discussions, and what would ultimately become the TPP, began in March 2008 as part of a larger ‘pivot’ toward US interest in the Asian-Pacific theatre. Through negotiations and the addition of an additional seven states to the negotiations, the scope of the original P-4 agreement changed to be more comprehensive and decisive as a trade agreement. As stated before, much is unknown as to what is exactly in the TPP, but what is known is that the TPP specifically targets SOEs as an unfair trade practice. Which would seem to put the onus of any deleterious effects of the TPP on developing states, like Vietnam that has over 1000 SOEs. The TPP, therefore, can be seen as a direct rejection of the PRC’s economic practices by the signatories and a hedge against both the perceived manipulation of the WTO and growing economic dominance by the PRC in the region. Knowing this, why would the President-elect state that he would be killing the deal before he is even sworn in? Additionally, on this matter President-elect Trump and Sen. Bernie Sanders make strange bedfellows insofar that they both reject the TPP outright. To chalk the rejection of TPP up to a simple lack of marketing on the part of the Obama Administration, as well as getting caught playing three-card Monte with the American public with the details of the agreement. One can’t deny that has influenced conversation, especially with the Press; however, what does run through both Sen. Sanders’ and Trump’s estimation of the situation is a rejection of neo-liberal economics. Looking at the broader context of global politics, one can start to see definitive lines of thought between Brexit, the assenting of Trump, Le Pen, Farage, et al, as part and parcel of this rejection. This similarity between the Left and Right on this issue has been arrived at from purely differing ideological ideals; the Left fretting about growing disparity and the Right fretting about a perceived loss of sovereignty. Jubilance by the PRC on Trump’s victory should be cause for concern to the American public. Yet, once could see how the PRC could see Trump’s anti-liberal economic agenda as an opportunity for the RC. Nonetheless, working within the realm of what Sec. Rumsfeld called the ‘known-unknowns and unknown-unknowns’ can be cause for a bit of consternation; however, as we approach January 20, Trump’s policy will come more focused. One can only hope that like many of his other campaign promises, sanity will set in and the TPP will be reconsidered. In the next entry, I will discuss the TPP and how it looks when compared to the PRCs RCEP and what that means for US strategic interests.